The present study was conducted to find out the role of natural immunity against dental caries. Whole stimulated saliva of various caries active children was collected. Antigen glucosyltransferase (GTF) was prepared from Streptococcus mutans serotype c and the antibody titre was estimated using ELISA. Salivary IgG, s-IgA and total immunoglobulins (IgG + s-IgA+ IgM) concentration were assayed. 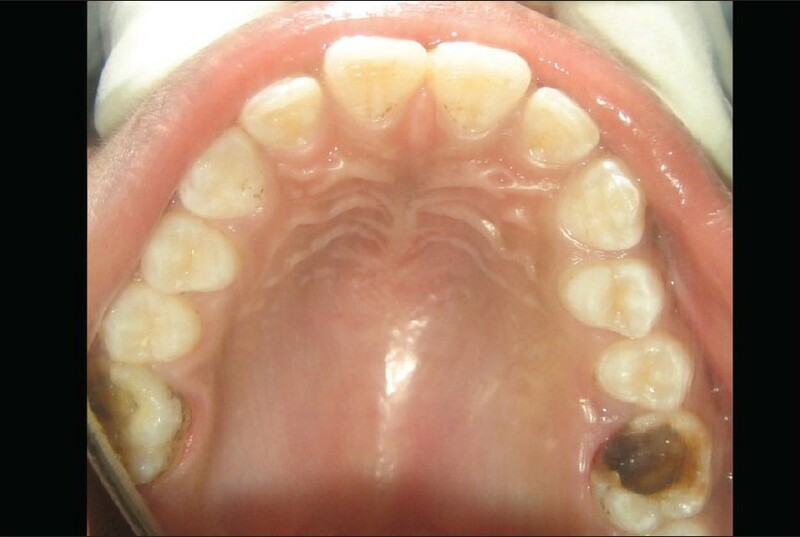 The result showed an increased level of salivary IgG concentration with the increased number of dental caries, which was not statistically significant. But there were significant decrease of s-IgA titre as well as total immunoglobulin concentration in saliva with the increased number of dental caries. This study showed that because of lack of local immunity the children are more prone to dental caries. In Pediatric Dentistry, the use of pit and fissure sealant is one of the essential forms of prevention. Pit and fissure caries may be substantially decreased by obliteration of these developmental defects in occlusal, buccal and lingual surfaces with resin based dental sealants. Visible light-curing units, or LCUs, are an integral part of modern adhesive dentistry" They are used to cure resin based composite restoration materials, resin modified glass-ionomer and pit and fissure sealants, as well as to bond orthodontic teeth. Most recently, the argon laser has been approved for initiating the setting reaction with visible light cured-resins. Argon curing of resin materials has been show to enhance the physical properties and degree of polymerization of the resin, while reducing the polymerization time by 75 percent. The study is undertaken considering the inadequate research reports of regarding the comparison of curing ability using argon laser. LEDs and visible light as well as the resistant towards caries activity of the preventive fluoride releasing pit and fissure sealant cured by above mentioned curing units. Child temperament has been studied in various researches and may be useful to predict how a child responds to dental treatment, especially very young children. The purpose of the present longitudinal study was to evaluate the behavioral manifestation of children aged 0 to 3 years, considering different types of dental situation. A total of 169 children were selected and the following data were collected: the age of the child, gender, age of the mother, number of dental visits and their respective dates, stimuli offered to the child, and behavioral response to these stimuli. The children and their respective behaviors were divided into five groups according to the dental situation offered: control, missed visits, fluoride varnish, restoration, and dental trauma. The data were submitted to descriptive and inferential analysis using the chi-square test, with the level of significance set at 5%. Analysis of the different situation offered to infants during routine dental care revealed a predominance of collaborating and partially collaborating behavior, and age at the time of dental care influenced the behavior of the infants, irrespective of the stimulus group. The different types of dental situation provoked changes in the behavioral response of the children of certain age groups, especially in the dental trauma group. Aim: To assess the impact of socio-demographic and clinical variables on the oral hygiene and periodontal status in a sample of mentally disabled subjects. Materials and Methods: Study sample comprised of 171 mentally disabled subjects attending a special school in Udaipur, India. Oral hygiene status was assessed by Simplified Oral Hygiene Index (OHI-S) and periodontal status by Community Periodontal Index. Results: Stepwise linear regression analysis revealed that the best predictors in the descending order for oral hygiene index were disabled sibling, medical diagnosis, IQ level, education of mother and father. Having Down syndrome, less educated parents, poor economic status and a disabled sibling were the most important predictors for poor periodontal status. Conclusions: The present study highlighted that the oral hygiene and periodontal status of the present study population is poor and was influenced by medical diagnosis, IQ level, disabled sibling, parent's level of education and economic status. Context: An accurate diagnosis of occlusal surface of permanent posterior teeth for the presence of caries is a challenge to the clinician, when using traditional explorer. This dilemma of hidden caries has led to invasively opening of the fissure before sealant placement. Enameloplasty is one such invasive procedure that has been implicated in the successful application of pit and fissure sealants. 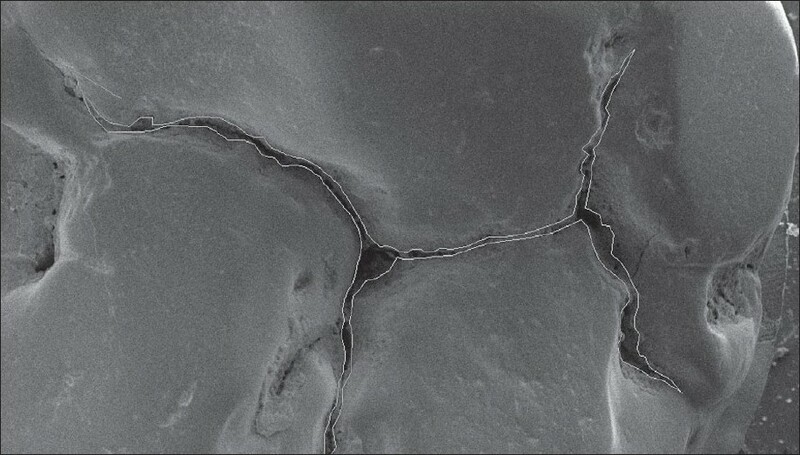 Aims: The present study aims at evaluating the fissure micromorphology and sealant penetration under scanning electron microscope both with conventional sealant technique and enameloplasty sealant technique. Settings and Design: The study comprised of extracted human posterior teeth subjected to enameloplasty of the fissures in the study groups as compared to unprepared fissures in the control groups. Materials and Methods: The enameloplasty was performed with the help of specially designed Fissurotomy bur. The sealant used was Clinpro from 3M. All the samples were prepared for examination under scanning electron microscope. Statistical Analysis: A student 't' test was performed to compare the study and the control groups. Results: (i) The surface area available for sealant placement on the occlusal surface was significantly increased following enameloplasty. (ii) Fissure width following enameloplasty was significantly increased. (iii) Extent of sealant penetration was significantly greater with enameloplasty sealant technique as compared to conventional sealant. Conclusion: Enameloplasty sealant technique can be preferred to conventional sealant technique for improving adhesion, adaptation and penetration of the sealant within the fissure system. Early Childhood Caries (ECC) is a lifestyle disease that begins when the child's teeth erupt in the oral cavity. The distinctive pattern of decay rapidly spreads from one tooth to another and involves the surfaces of teeth that are usually not at risk. Detection of disease is crucial to control the oral condition using preventive and therapeutic regimes. 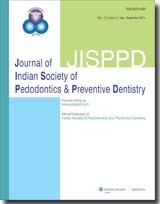 The aim of this study was to determine the prevalence of caries in children of age 3-6 years in Ludhiana and to examine the relationship between age and caries experience. A total of 609 children in the age group of 3-6 years were examined using def index. To determine dental care seeking attitude, 105 caregivers were interviewed. Results revealed that 52.87% of children in the age group of 3-3.11 years, 45.1% of children in the age group of 4-4.11 years and 58.55% of children in 5-5.11 age groups suffered from caries. The mean def index was 1.82, 1.57 and 2.21, respectively. Interview of caregivers of children revealed that out of 105 only 12 (11.4%) children had previously been to a general dentist. None of them knew about Pedodontics as a specialty. The results of the present study can be used mainly for screening child populations in need of treatment, helping public workers and planners to develop dental health programs to aid early intervention and prevention. Juvenile aggressive ossifying fibroma is an uncommon and controversial, benign but aggressive osteogenic neoplasm of the jaws commonly occurring in children and young adults. Complete removal of the tumor at the earliest possible stage is recommended owing to its high recurrence rate of 30-58%. 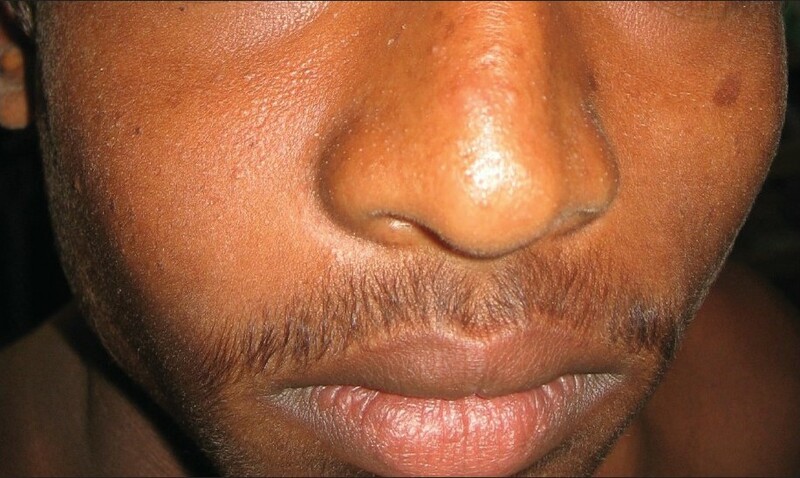 Reported here is a case of recurrent juvenile aggressive ossifying fibroma of the maxilla in a 15-year-old male treated with enucleation and curettage. A 10-month follow-up showed no signs of recurrence. Regional odontodysplasia (RO) is a rare disorder of dental development. The affected teeth are clinically hypoplastic and hypocalcified, presenting a ghost-like appearance radiographically. The aim of this work was to report a clinical case of a child with both primary and permanent dentition affected by RO. The conducted therapy was based on a conservative approach, which consisted of follow-up clinical evaluations of the anomalous teeth. 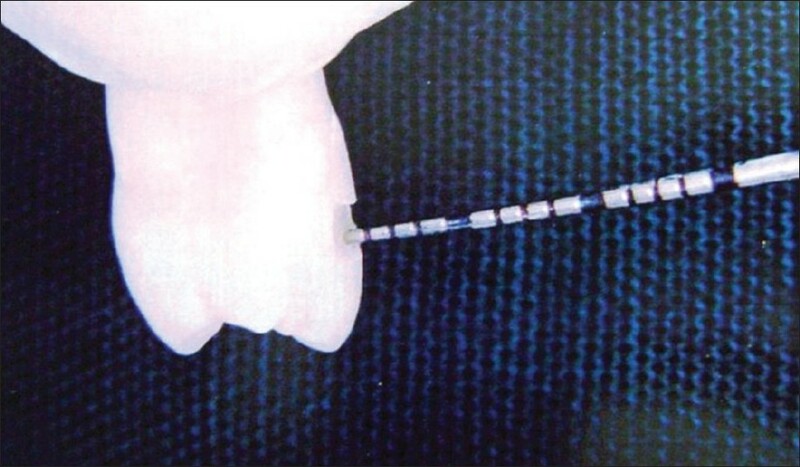 However, the endodontic treatment of the primary incisors failed. Then, the chosen option for patient rehabilitation became extraction followed by removable of prosthesis confection. The extracted teeth were processed for histological analysis. In spite of the uncertain prognosis, but taking into account the psychological aspects of the patient, a conservative approach in an attempt to maintain those viable teeth in the oral cavity should be established. The discovery of foreign bodies in the teeth is a special situation, which is often diagnosed accidentally. Detailed case history, clinical and radiographic examinations are necessary to come to a conclusion about the nature, size, location of the foreign body and the difficulty involved in its retrieval. It is more common to find this situation in children as it is a well-known fact that children often tend to have the habit of placing foreign objects in the mouth. Sometimes the foreign objects get stuck in the root canals of the teeth, which the children do not reveal to their parents due to fear. These foreign objects may act as a potential source of infection and may later lead to a painful condition. This paper discusses the types of foreign objects found in and around the teeth and reports two cases along with their retrieval and associated management of the involved teeth. Albright hereditary osteodystrophy (AHO) is a rare hereditary metabolic disorder that may be associated with or without resistant to parathyroid hormone (pseudohypoparathyroidism). It is commonly characterized by a constellation of physical features of short stature, round face, short neck, and small metacarpals and metatarsals, mild mental retardation, osteoporosis, subcutaneous calcification, and sometimes olfactory and hearing functional defect. Hypocalcaemia and hyperphosphatemia are the most important manifestations of the case. 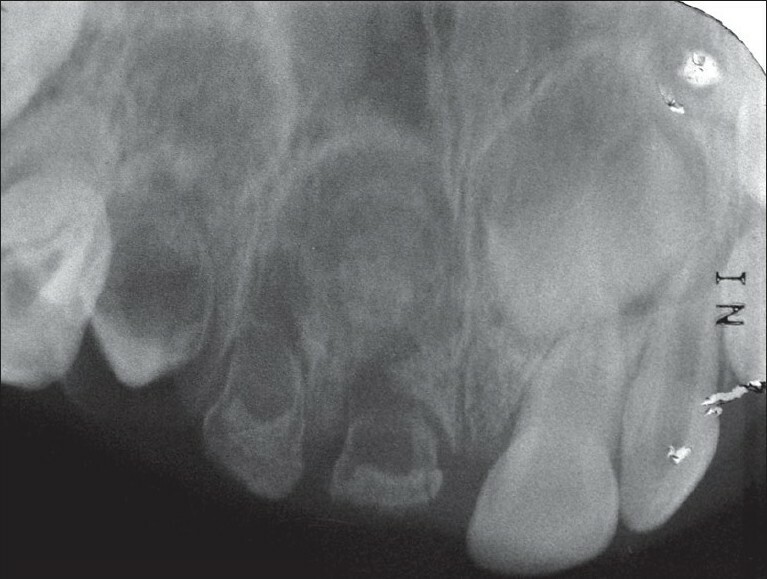 We report a clinical case of siblings with AHO with reduced Gs-alpha activity and we discuss their clinical features with oral manifestations, radiographic findings, laboratory tests along with treatment.